Between our commercial and corporate lifestyles, we often lose track on our health and weight. With tuff deadlines at work and stress, we depend on binge eating and junk food which is the main reason behind weight gain. According to a physiological research, being obese or fat has made people feel less confident and depressed. From fad diets to pills, there are many ways to shrink those extra pounds. But are they are really worth to try? Many commercial companies in order to cash the weakness have introduced instant weight loss programs. But don’t fall into their bait. Many nutritionists and dieticians have said – losing 3 pounds per week is not accepted as a healthy weight loss. It leads to additional health problems and weakness. Though, when you start a quest to create healthy weight loss regimen – you may have encountered a new nugget of advice each day. Of course, it’s quite confusing and frustrating. 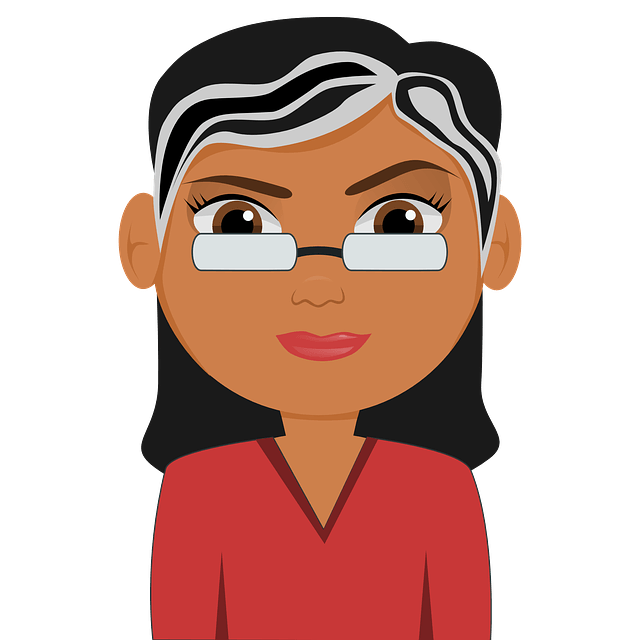 “Which natural home remedies work” – is quite a complicated question to answer. But we will surely answer how one single ingredient will help you shrink extra pounds and that is – Honey. The Glycemic Index (GI) score of honey is 55. This helps to provide quick energy to the body. It has the ability to break down the stored fat. Honey lets our liver produce glucose, which is used by brain to produce fat burning hormones. It increases good cholesterol levels in the body which reduces cardiovascular strain and avoids the risk of heart attack. It contains 22 amino acids which help convert fat in to usable energy. When it is taken before going to bed, it improves sleep and reduces stress hormones that are responsible for weight gain. It contains vitamins like B6, thiamin, niacin, riboflavin and pantothenic acid which boost body’s metabolism. It contains minerals like calcium, copper, iron, magnesium, phosphorous, zinc, potassium and sodium which build immunity. The anti-oxidant and anti-bacterial properties present in it help you to stay healthy and fight illnesses like cancer and other ailments. The enzymes present in it curb the hunger pangs and over eating. Wanna a give a try? 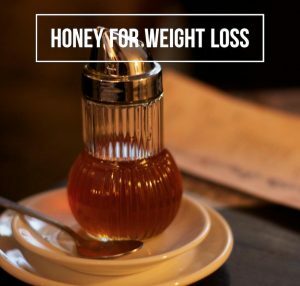 Here we have listed down methods of using honey for weight loss with a detailed description. Consume 1 tablespoon of honey before going to bed. This step helps to detoxify the digestive systems and liver. Or consume it on an empty stomach in the morning followed by a glass of warm water. Consume daily on empty stomach. For better results, use lukewarm water. This combination purifies the intestinal tract, liver and reduces the fat. Add juice of half lemon and 1 teaspoon of honey to 1 glass of lukewarm water. Or you can mix 2 tablespoon of lemon juice with 1 tablespoon honey. Consume daily on an empty stomach. Boil 1 cup of water, and add 2 pieces (1 inch each) of cinnamon in it. Remove from the flame, strain and let it cool till lukewarm. Or you can add 1/2 teaspoon of cinnamon powder to boiling water. Or mix 1/2 teaspoon cinnamon powder, 1 teaspoon honey in a glass of lukewarm water and consume. Mix 1 teaspoon cinnamon powder, 1 tablespoon each of honey and coconut oil or sesame oil. Spread this mixture as a toast and eat it. Add 2 tablespoons of apple cider vinegar, 1 tablespoon raw honey, 1/2 teaspoon cinnamon powder to 1 glass of lukewarm water or normal water. Consume regularly 3 – 5 times a week. Ginger tea is a metabolism booster, and when it is combined with honey, it becomes an elixir for digestion and weight loss. Add 1 tablespoon of chopped ginger and simmer for 5 minutes. Add 1 teaspoon honey and stir well. For better results, you can chew the strained ginger. Grate 1 inch of ginger. Add 1 tablespoon of honey to it and consume followed by 1 cup of water. Mix 1 teaspoon of honey, 2 grams each of turmeric powder and ginger powder. Add this mixture to a glass of warm water and consume daily on an empty stomach. Oatmeal absorbs bad cholesterol, controls diabetes, reduces hypertension and treats constipation. Cook 1 cup of oatmeal with water or milk. Let the mixture cool till lukewarm. Consume the mixture as breakfast every day. Add a green tea bag to 1 cup of hot water. Remove the tea bag, add 1 teaspoon honey and stir well. Drizzle 1 teaspoon of honey in 1 cup of yogurt. Consume it as a snack or dessert to kick off your hunger pangs. You can also add fruits or nuts in the mixture. Add 1 tablespoon of honey to any fruit juice of your choice and consume daily on empty stomach. Or add 1 teaspoon of honey to a cup of chopped fresh fruits of your choice and consume as a snack or dessert. Apple Cider Vinegar will reduce food cravings, strengthen immune system and speed up metabolism. Mix 1 tablespoon each of apple cider vinegar and honey. Consume it before going to bed. Or you can also add this mixture to a glass of fresh grape juice or lukewarm water and consume. Mix 2 teaspoons each of apple cider vinegar, raw honey, 1 teaspoon garlic juice, a pinch of cayenne pepper and 2 tablespoons of lemon juice in glass of water. Consume it before each meal. Brew 1 cup of chamomile tea or green tea. Add 3 teaspoons unpasteurized apple cider vinegar and 2 teaspoons of honey to it. Repeat 6 times a day. Mix 1 teaspoon each of honey, garlic juice and apple cider vinegar. Consume it daily morning before breakfast. Or add the mixture in a glass of water and drink it. Grate 1 inch ginger root and squeeze to extract the juice. Mix 1 teaspoon each of honey and ginger juice and 1 tablespoon of unpasteurized apple cider vinegar. Add the mixture to a glass of water and consume it on an empty stomach. Spread honey on a toast and enjoy as breakfast. You can also mix 1 tablespoon each of peanut butter and honey and spread the mixture on whole bread of toast. Instead of commercial health drinks and table sugar, add 1 tablespoon of honey to lukewarm or cold milk. Scoop out gel from aloe vera leaf. Mix 2 tablespoons of aloe vera gel and 1 tablespoon of honey. Consume it on empty stomach. Or mix 1 tablespoon honey to a glass of aloe vera juice. To a blender, add 2 tablespoons of aloe vera gel, 1 cup almond or coconut milk, 1/2 cup each of blueberries and mango chunks, 1/2 tablespoon coconut oil, 1 handful basil leaves, 2 tablespoons honey, 1 tablespoon each of coconut flakes and protein powder. Blend until smooth and consume it. Grind 2 tablespoons of coconut oil and 2 cups of almonds, pecans or cashews. Add 1 tablespoon of honey to the mixture and consume it as a snack or dessert. Or add 1 tablespoon each of melted coconut oil and honey to 1 glass of lukewarm water and consume. In a blender, add 8 cups of water, juice of 6 lemons, 1/2 cup of honey, 10 mint leaves and few ice cubes. Blend until smooth and refrigerate the mixture. After 2 hours, strain the mixture. Sip the juice during meals or though out the day. Bring 2 cups of water to boil and add 1 tablespoon dandelion root, 1/2 piece minced ginger root, 1/2 cinnamon bark, 1 cardamom and 4 mint leaves. Strain and let the mixture cool down to room temperature. Add 1 teaspoon of honey and drink it. Add 1/2 teaspoon of kalonji oil with 2 teaspoons of honey in a glass of lukewarm water. Mix 1 tablespoon honey and 1 teaspoon black pepper powder. Consume it followed by a glass of water. For improving taste and benefits, add 3 tablespoons lemon juice. Boil baby carrots until tender. Drain carrots and glaze them with honey. Eat them as breakfast or dinner. Remove seeds from Indian Gooseberry or Amla and chop them. In a blender, add chopped amla and 1 cup of water. Strain the mixture to separate the pulp from the juice. Add 1 tablespoon of honey and drink it. For additional taste, add a pinch of cardamom powder. Blend dried Indian Goose Berry in to fine powder or use store brought. Mix 1 teaspoon Indian goose berry powder with 1 tablespoon honey. In a blender add 2 ripe tomatoes, 5 mint leaves and 1 cup water. Add 1 tablespoon honey, a pinch of black pepper and stir well. Dink it daily before breakfast. Mix 1/2 teaspoon guggul (Ayurvedic Herb) with 1 tablespoon honey. Consume this mixture 2 – 3 times a day. Chop 1 blood orange or red grape fruits in to thin slices. In a pitcher of water, add grape fruit slices and 1 tablespoon honey. Add ice cubes and drink in the morning. Combine coconut water with any fruit puree of your choice and 1 tablespoon honey. Consume it daily on an empty stomach. Fenugreek will keep your appetite at bay by making you feel satiated. It will decrease the hunger pangs. Add 1/2 teaspoon of fenugreek seeds in your regular cooking or try below. Roast few fenugreek seeds in a pan. Using mortar and pestle crush the seeds in to powder. Mix 1 teaspoon each of fenugreek powder and honey. Boil 1 cup of water and add 1/2 teaspoon fenugreek seeds to it. Simmer for 5 minutes, strain and let it cool down to room temperature. Add 1 teaspoon honey, stir well and consume. For added benefits, add 1/2 teaspoon lemon juice. Pippali or also known as Indian Long Pepper is an Indian herb known for its amazing benefits which help relieve many health ailments including weight loss. It is available in many Ayurvedic stores. Mix 2 teaspoons of honey and 1 teaspoon of pippali powder. Lick the mixture on an empty stomach followed by a glass of water. Triphala and Tritaku are Indian herbs available mostly in Indian Ayurvedic stores. Mix 1/2 teaspoon of triphala churna powder with 1 tablespoon of honey. Mix 2 parts of honey, 1 part each of turmeric, triphala and tritaku. Consume 1/8 teaspoon of the mixture daily followed by a glass of water. Mix 3 grams of cumin powder and 1 teaspoon of honey to a glass of water. For added benefits, squeeze few drops of lemon juice. Curry Leaves maintain blood sugar levels and protects liver from damage. Blend few fresh curry leaves in to a paste. Mix 1 tablespoon honey and 1 teaspoon curry leaves paste. Alternately, use can use dried curry leaves powder. Majistha root is an Indian herb widely available in various Ayurvedic stores. Soak majistha root in fresh water for 2 hours. Boil 1 cup of water and add majistha root in it. Let it cool down to room temperature and add 1 tablespoon of honey to it. Boil 1 cup of pumpkin pieces in water for 10 minutes. Strain it and mash the pumpkins. Add a glass of milk and 2 tablespoons of honey and stir well. Consume 2 times a day. Apart from above methods, try these massages using honey to burn the fat. If you are pregnant or have varicose veins on the skin then avoid below massages. Mix 2 teaspoons of honey and drops of lemon essential oil, 2 drops mint oil and 2 drops of lavender essential oil. Massage on clean fatty areas for 15 minutes. Alternately, you can choose any essential oil of your choice. Add 2 teaspoons of coffee granules to 1 tablespoon honey. Massage the mixture on clean fatty areas for 15 minutes. This method is effective in reducing belly fat. Mix 1 tablespoon aloe vera gel and 1 teaspoon each of mayonnaise and honey. Apply the mixture on your belly and massage gently in circular motions. After 10 minutes, let it rest for 20 minutes. Mix 1/2 teaspoon each of honey, sour cream and turmeric powder. Massage on fatty areas for 10 minutes. Let it rest for 15 minutes and rinse off with lukewarm water followed by cold water. Mix 3 teaspoons of honey, few drops each of lemon juice and olive oil. Apply this mixture on fatty areas and massage for 5 minutes. Let it rest for 20 minutes and rinse off with lukewarm water followed by cold water. Repeat 2 times per day for better results. Use raw and organic honey to avail more benefits. For weight loss, there is no one particular method that is most effective than others. So try the methods as per your convenience to find out which one works better for you. If you are a busy person and don’t have much time, then just replace regular sugar with honey in your daily food. This can also help you lose some weight. Never cook honey at high temperatures or mix it in boiling water, as heat will damage the nutrients present in it and catalyst in it will be lost leaving it toxic. If you are allergic to pollen, avoid eating honey. Manuka honey is a perfect alternative for bee honey. Though you are overweight and want to shred few pounds, it doesn’t mean you have to stop having food. Apart from trying honey methods, eat healthy food to maintain balance in your immune system. Too much consumption of honey can also lead to high blood sugar levels, insulin levels so limit your consumption to 6 tablespoons per day. Replace artificial sweeteners, table sugar and fructose with honey while preparing desserts. If you are diabetic or pregnant or nursing mother, consult your doctor before using honey. Drink plenty of water and include fresh fruits and veggies in your regular diet. Brisk walk for at least 20 – 30 minutes or exercise daily as per your convenience. Avoid junk food, binge eating, alcohol and smoking. Was this article helpful and convincing? If you have any queries, write to us in the comments section below. How honey alone can reduce fat? The enzymes present in honey curb the hunger pangs and binge eating. When consumed before going to bed, it improves sleep and reduces stress hormones which are responsible for weight gain.